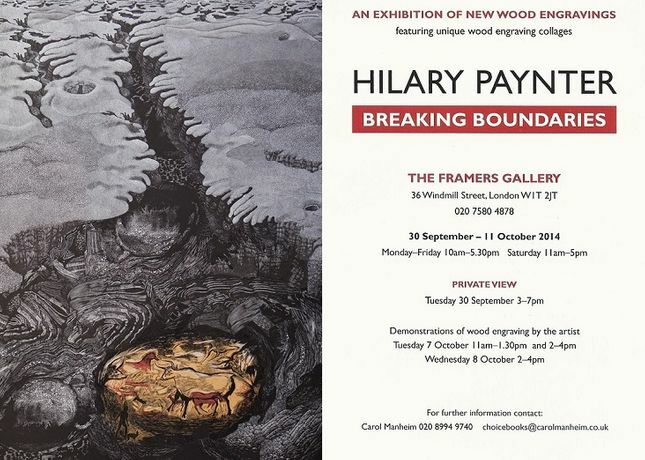 Hilary Paynter's career as wood engraver has spanned five decades. As one time Chairman of the Society of Wood Engravers and later President of the Royal Society of Painters Printmakers, she has worked tirelessly to restore the status of wood engraving in this country and has attracted new generations to art. In addition to her impressive list of illustrated books, Hilary's work is found in the collections of Victoria & Albert Museum, The Ashmolean Museum. The Fitz William Museum, The Laing Art Gallery, Hereford and Durham City Museums amongst others. In 2014 she was commissioned to design two-metre high engravings for Newcastle Central Station Metro.